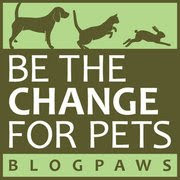 Take The "NO Pet Store Puppies" Pledge: And Win An ASPCA Gift Pack! Introducing Molly and her faithful dog, Joey: Helping us understand why puppy mills are bad...and why we should not patronize stores that sell dogs from puppy mills. 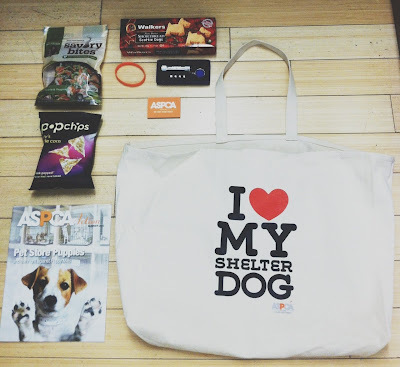 Note: See directions at the end of this post to enter to win a special "No Pet Store Puppies" Gift Pack from the ASPCA! Today, Sunday July 21, 2013, is "No Pet Store Puppies Day", and in fact, it's the third year of ASPCA's national campaign to fight puppy mills. This year's new video campaign, featuring adorable Molly and her equally adorable dog, Joey, highlights ASPCA's effort to let as many people as possible understand the direct link between puppy mills and the pet stores who sell their factory-produced puppies. Why not take the ASPCA "NO Pet Store Puppies" Pledge today, and then do what you can to spread the word among your friends and family-it really is all about knowledge. We all realize that stores that sell products are in business to make money-and there's nothing wrong with that. 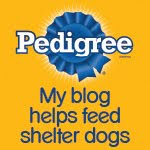 And you also know that as pet parents, we love to shop for our furry companions. But stores that sell pet products and also sell those adorable puppies and kittens are working as one with puppy mills, because that's where those puppies come from. But here's the great part: When the voice of the people is heard, change is made. When you, the people, take away their business-when there is no market for what they're selling-those stores will no longer do business with puppy mills, and in turn, there will eventually be no more puppies produced by dog factories. It's one thing to simply not buy a puppy or kitten from a pet store, but that impact is amplified many times over when you refuse to purchase anything from a brick and mortar or online store that also sells pets. Boycotts get peoples' attention. So please remember: "Don't shop till they stop!" One lucky winner (continental U.S. only) will receive one ASPCA gift pack with the items pictured and listed above. This contest will run from today, Sunday July 21, 2013 through Tuesday, July 30, 2013 at 8:00 EST. I will take the pledge for sure! What a cute video. I hope it gets the word out! I completed all of the requirements and I would love to enter this giveaway! I would like to enter the contest. I took the pledge, followed you on facebook (did a while ago), tweeted and I'm now leaving a comment. My Sissy is a shelter dog. She actually came to a no kill shelter on a transport from Alabama from a kill shelter. I couldn't ask for a better dog! I'd love to enter this giveaway! Thank you. We liked your page a while ago, we shared via twitter and we'd like to enter the giveaway. Thanks! We have taken the "No Pet Store Puppies" pledge from ASPCA today and would love to be included in the giveaway! Thank you. I have tweeted and posted this on my facebook acct.